Having a group trip with the whole family or all of your besties can be a great experience filled with unforgettable memories, but it can also be a bit more stressful if you aren’t organized or thought of any hiccups that could arise whilst traveling. We’ve put together our ultimate survival guide for when you are planning a group trip to St Lucia. Booking flights and hotels for one or two people is relatively easy and can be done with next to no notice, but if your traveling with more than 4 people things like booking flights can become very complicated very quickly. Book as early as possible so that everyone has plenty of time to get organized. If you are in charge of booking your group trip to St Lucia , ensure you keep everyone in the loop with rates, dates and places of where you planning to book. If you know that you are flying in and then taking a booked minibus to your hotel make sure everyone else knows these plans too to save any confusion at the time. When travelling in a large group it is a good idea to pre-book any activities that you might want to do whilst visiting the Island. Things like watersports, guided tours and restaurant reservations should be organized in the early days or your visit if not beforehand. Make sure to have open and honest conversations with the people you are travelling with. Things like money and what to do whilst on your visit can quickly turn into heated arguments if people aren’t communicating properly. Not everyone has the same ideas on everything and that’s ok, just make sure you talk through things like budgets and activities before they become an issue and ruin your group holiday. Following on from our last point, not everyone has the same plans for what to do whilst visiting the Island, so plan a day where you don’t have to do everything together. If one part of the group wants to go exploring, and the other wants to chill out at the beach, then split up for the day and come back together when the day has finished and enjoy a meal together. Not only will it save any arguments but everyone will feel like they got the most from their day and have lots to talk about over a meal. Moving as part of a large group, things will naturally move at a slower pace. Whether it’s getting everyone ready to go out for the day or even just looking at the local markets, expect things to take a little bit longer. Plan ahead for this eventualy. If you have pre-booked activities where you have to be there at a certain time, make sure to allow extra time to avoid any added stress. As we mentioned group trip to St Lucia can be stressful but manageable with more time. Holidays are meant as a time to recharge our metaphorical batteries but also make sure to keep your actual batteries charged too. Keep your phone charged at all times so if you or someone else gets separated from the group you can get in contact with them easily. Carry a charge on the go device if your phone is liable to run flat, especially since you will be taking a lot of pictures with your friends or family. Planning a group trip to St Lucia is a lot of fun if you are well organized. 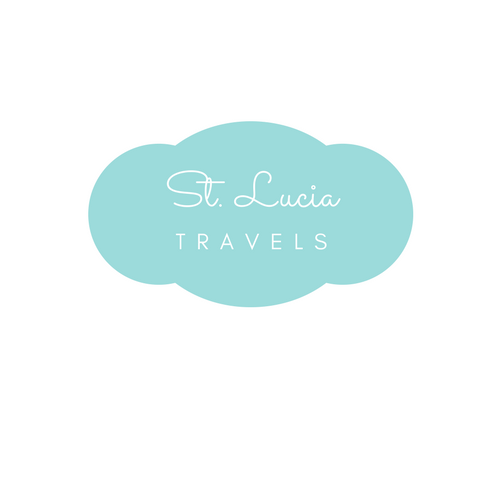 Tell us below if you are planning on a group trip to St Lucia anytime soon. If you loved this post, please PIN IT HERE and share it. I’m always up for a new adventure. Thank you for all these tips!